An Auburn man was arrested in Seneca Falls following a traffic stop where he was a passenger in a vehicle being operated on State Route 5. Police in Seneca Falls arrested Marie J. Johnson, 46, of Auburn for using drug paraphernalia in the second degree, and consumption of alcohol in a motor vehicle. 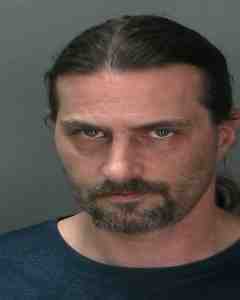 The traffic stop occurred on State Route 5 in the Town of Seneca Falls. Johnson was also found to be in possession of a pipe that was used for smoking crack cocaine. He was arraigned in Tyre Town Court and committed to the Seneca County Correctional Facility in lieu of $250 cash, or $500 insurance bond. On September 1, 2016 Johnson will answer the charges in Seneca Falls Town Court.